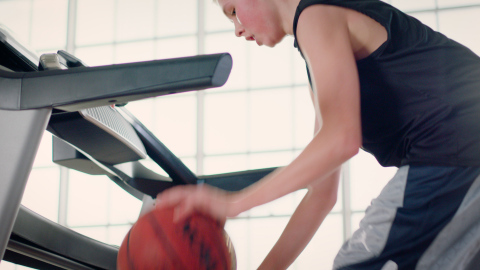 LOGAN, Utah–(BUSINESS WIRE)–Utah teenage basketballer Luke Facer shows off his ball handling skills in a new national campaign celebrating March Madness from Utah-based fitness leader ProForm. Facer spins, dribbles and passes basketballs between his legs while jogging forward, backward and turning 360s on a ProForm Pro 2000 treadmill, the brand’s most popular treadmill. The video — titled “Where Do Your Dreams Begin?” — captures the emotional intensity of working hard on the basics to reach your dreams, whatever they are. Luke Facer is 15 years old and a sophomore at Ridgeline High School in Providence, Utah, where he played point guard for the sophomore team. He loves basketball, has been playing since the 3rd grade, including several travel teams, and dreams of playing college basketball. Brian Green, former Utah State University star player, saw Luke working out in the gym and thought his “handles” were impressive. He was then recommended to ProForm as a player that would have the skills to showcase basketball drills on a moving treadmill. ProForm is a leading brand of fitness and running powerhouse ICON Health & Fitness, where both Green and Kurt Facer, father of Luke, work in the sales department. ICON is based in Logan, Utah, north of Salt Lake City and owns leading brands such as ProForm, NordicTrack, FreeMotion, iFit technology and Altra footwear. Follow @ProForm on Facebook and Instagram and @ProFormFitness on Twitter. 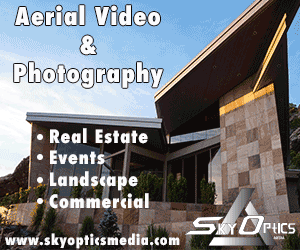 The video was produced by ICON’s in-house television and video production studio.